In 1916, a group of Galion High School graduates formed an alumni association to serve as a means to keep track of fellow graduates, to support the Galion City Schools and the City of Galion. At the first banquet for this association over four hundred attended! Today, another group of Galion graduates have met and incorporated a new Galion Alumni Association with the mission of communicating with fellow graduates, informing graduates and those interested in the Galion City Schools and the City of Galion of news and events in our hometown, and of supporting projects that help the schools and our hometown. 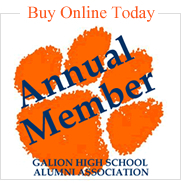 The Galion Alumni Association was formally started on July 28, 2004 with these incorporating individuals: Dr. Bernard Mansfield (1940), Miss Joice Hayden (1948), Mr. Richard Cope (1952), Miss Patricia Ellis (1959), Mrs. Linda Boyd Chambers (1959), Mr. Joe Kleinknecht (1960), Mr. Craig Clinger (1974), Mr. Brian Treisch (1974), Mr. Thomas Palmer (1976), Mrs. Pauline Harris Eaton (1979), Miss Jane Palmer (1978), Mr. Brian Palmer (1982), and Mrs. Jerusha Manley Walker (1993). As you can see, this incorporating group spanned a wide range of years. This incorporation as a non-profit corporation has taken place, as well as the election of temporary officers and the adoption of a set of bylaws. The temporary officers are Tom Palmer as president, Joe Kleinknecht as vice president, Craig Clinger as treasurer, and Brian Treisch as secretary. The Galion Alumni Association Board has adopted these five mission points:. 1. To maintain organized contact between the Galion City School District, its alumni, former faculty, and the community. 2. To promote the good name, image, and well being of the Galion City School District, its students, faculty, former students and the City of Galion. 3. To provide funds and services to the Galion City School District. 4. To promote the interests of the Galion City School District within the community and among distant alumni. 5. 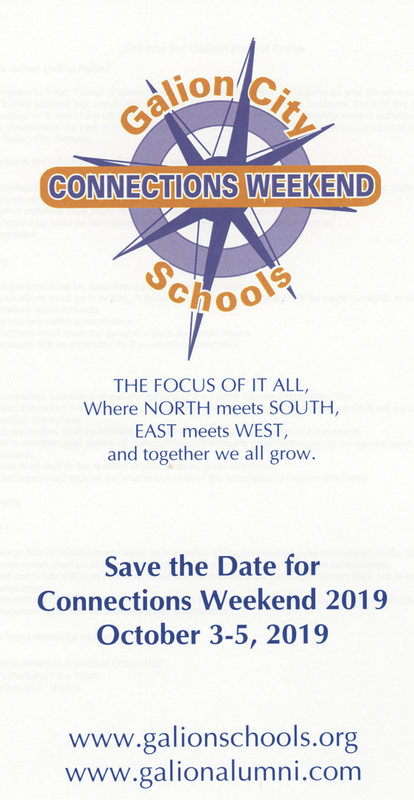 To provide social, educational, and cultural opportunities for students, former students, faculty, and friends of the Galion City School District.